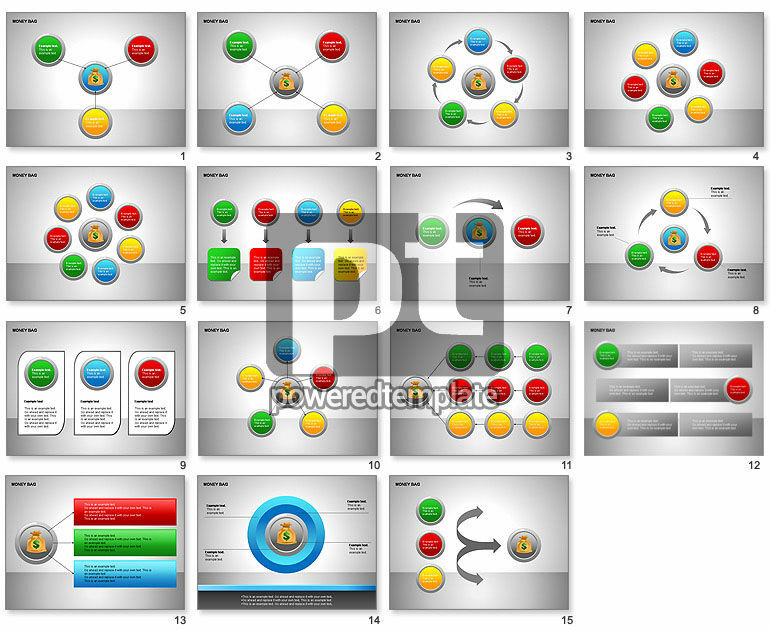 These presentation slides 26098 are complete compatible with Google Slides. Simple download PPTX and open the template in Google Slides. Great diagram with money bag collection for presentations on financing, investing, money investing, money saving, banking, etc.